Sometimes you feel like you’ve had such a bad day that you just need to do something that will make you feel better… anything to get your mind off of all the bad things and just focus on what you are doing in the moment. Baking is that thing that helps me get through those bad times. 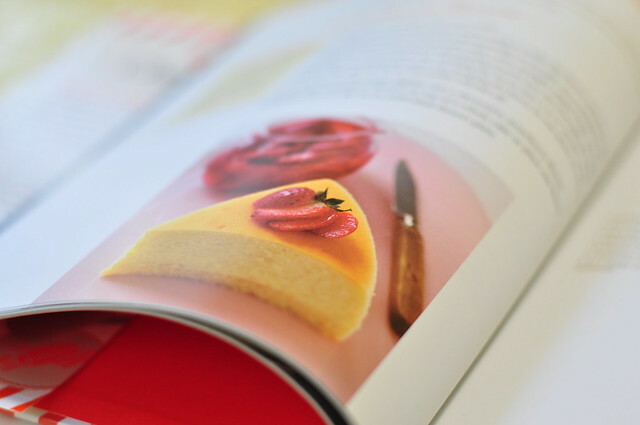 I feel like no matter what I bake, I have a recipe right beside me to help me out. All I have to do is follow it and measure everything correctly. When your creation is in the oven, you can enjoy it afterwards! Not only is cheesecake a fun cake to bake, it is also a major comfort food… especially if you add oreo crust to it! Now how can that not make you feel better? Place cookies in a food processor or blender and pulse until you get fine crumbs. Add butter and mash with a pastry cutter until all the butter has been worked into the crumbs. Line 12 muffin cups with silicone, foil, parchment, or paper liners. Or you can also butter up the pan real good instead of using liners. Press firmly into the pan to prevent a crumbly crust. Set aside. Put one package of cream cheese, 1/4 cup of the sugar, and the flour in a large bowl. Beat with an electric mixer on low until creamy, about 3 minutes, scraping down the bowl a few times. Blend in the remaining package of cream cheese. Increase the mixer speed to medium and beat in the remaining 1/2 cup sugar, then the vanilla. Blend in the eggs, one at a time, beating well after each addition. Beat in the cream just until it”s completely blended. Don’t over-mix! Divide the batter amoung the 12 muffin cups (fill each one almost up to the top). 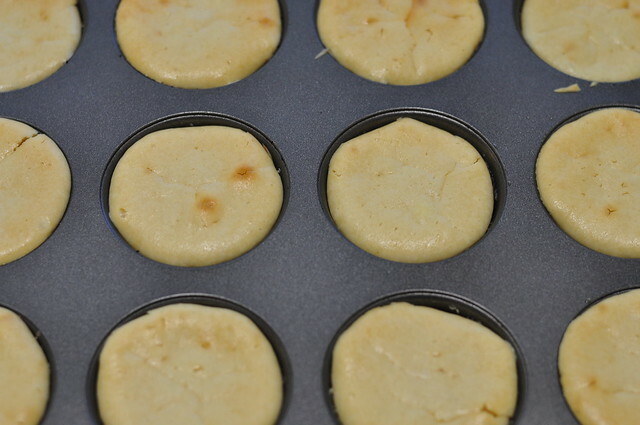 Place the muffin tin in a large shallow pan, then add hot water so it comes about 1 inch up the sides of the tin. Bake the cakes until set and the centers are slightly puffy and golden, about 45 minutes. Remove the cakes from the water bath, transfer the tin to a wire rack, and let cool for 2 hours. Cover the cakes with plastic wrap (do not remove from the pan) and put in the freezer until cold, at least 1 hour. To remove the cakes, lift them out of the cups with your hands (peel off the liners, if used). 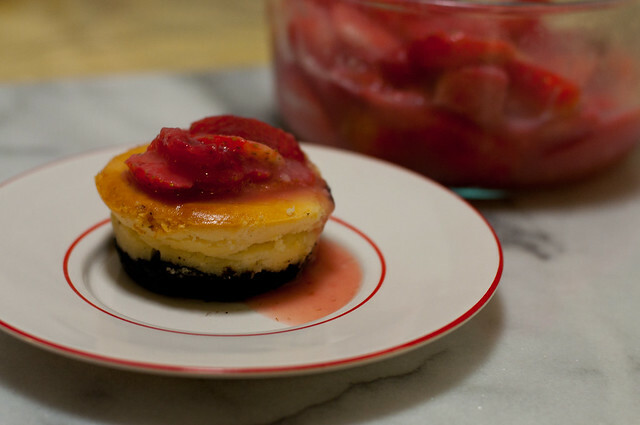 To eat, pour some Strawberry Sauce (recipe below) on top. 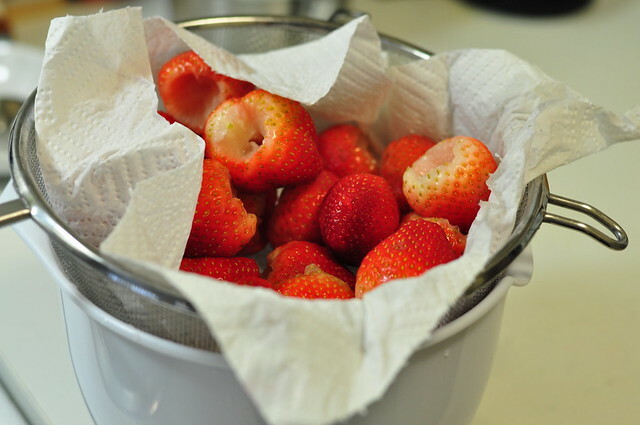 Wash, hull, and dry the strawberries on paper towls. Slice them 1/2 inch thick, vertically from top to tip, into a large bowl. Bring 3/4 cup of the water and all of the sugar to a obil in a medium-size saucepan over high heat and let boil for 5 minutes. Dissolve the cornstarch in the remaining 1/4 cup water in a cup. Whisk this mixture into the boiling syrup and cook until the mixture thickens and turns clear, about 2 minutes. Remove from the heat, stir in the extracts and food coloring (if adding). This entry was posted in Cupcakes, Recipes and tagged baking, cakes, cheesecake, cupcakes, mini, recipes, strawberries on February 27, 2013 by Krystal.